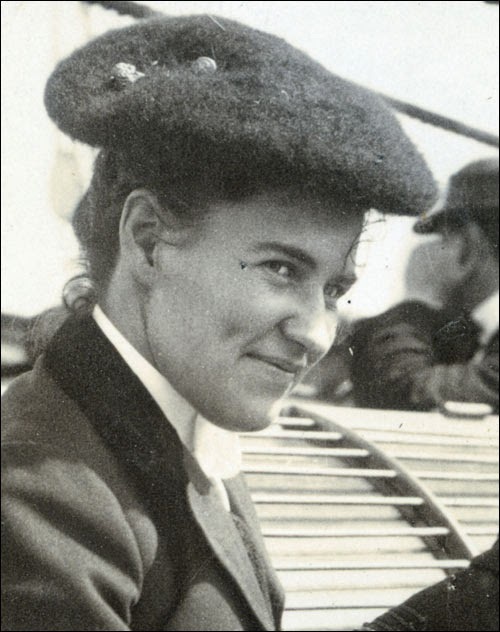 Willa Cather -- June 14, 1902. For the first time, I've read one of her stories: a novella, "My Mortal Enemy," that offered some of the best prose I've read this year. It would seem almost too natural and effortless to be called a style, were it not for the implied control that keeps it clean, clear, concise, vivid, and lively. Whether such control came easily to her, or whether she worked for it, I've no idea. But I do know that styles like this can be hard to find, and I'm thrilled to find hers. Something else I know: writing of such clarity and simplicity would expose any false intentions or fakery to instant recognition; it leaves no room for sleights of hand or for Barnum and Bailey showmanship. It is what it is, it does what it does, openly... and beautifully.